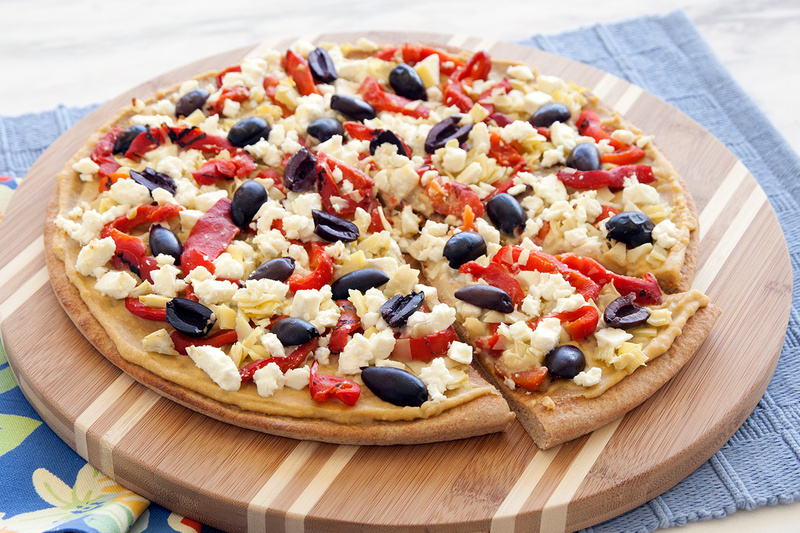 Add a Mediterranean touch to your next pizza night. Spray counter lightly with non-stick cooking spray. Combine rolls and roll into a 13-inch circle. Cover dough with plastic wrap and let rest for 10-15 minutes. Remove wrap from dough and place on a sprayed 12-inch pizza pan. Poke several times with a fork to prevent bubbles from forming. Prebake crust at 400 degrees F 8 minutes. Allow to cool slightly then spread hummus evenly over crust. Top with artichoke hearts, cheese, peppers and olives. Bake for an additional 6-8 minutes.